Gazing into a volcanic crater lake, leaping across a tectonic fissure in the earth's crust, descending into the magma chamber of an extinct volcano…Iceland is filled with unforgettable experiences. This beautiful country is packed with tourist-attracting natural wonders: waterfalls, glaciers, rivers, fjords, cliffs, thermal springs, and geysers. Though magnificent, this landscape is perhaps the most dangerous place in Europe. Several times a year, Icelanders are captivated by a full-scale land and helicopter search for travelers sucked out to sea by a wave, separated from their snowmobile tour group, or lost in the wilderness. Iceland is more popular than ever, but it shouldn't be the last trip you ever take. 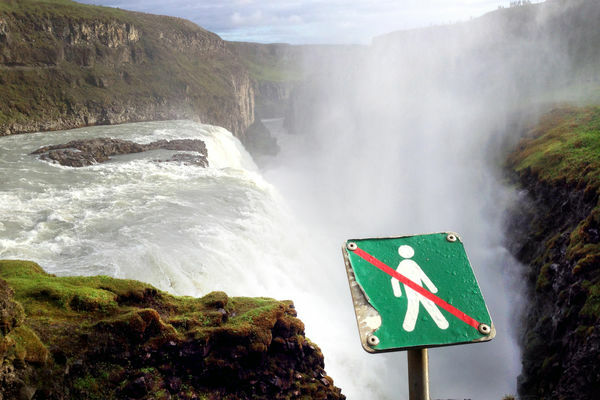 Before you visit, consider these 10 ways a trip to Iceland could put you in danger. 1. Wind: The signature feature of Icelandic weather is wind. For Icelanders, good weather means no wind or a light breeze; bad weather means it's blowing hard. Even in summer, you'll likely encounter winds that are uncomfortable or dangerous to walk or drive in. When picking up my rental car on my most recent trip, I was talked into a $20-a-day insurance supplement for "wind damage and sand storms." And later, while I was standing on a rock to snap a photo, a freakish gust nearly blew me into the sea. Check the forecast on the Icelandic weather service's website. If it's windy and icy at the same time, use extra care. 2. Slips and falls: In winter, Reykjavik's sidewalks generally aren't cleared or salted, and are very slippery and icy. Falls are common. Paths in the countryside ice over, too. Cautious travelers visiting between December and February should pack a pair of ice cleats to strap over their shoes. 3. Getting lost: When traveling in less inhabited parts of the country, be prepared for the unexpected. Your car could break down or run out of gas, or you could take a wrong turn. Travel with extra clothing (even summer days can turn cold and windy, especially at higher elevations) and keep your mobile phone charged. Carry a paper map as a backup. Before heading into wilderness areas, upload your itinerary to SafeTravel.is. 4. Sneaker waves: Iceland's south coast has some very dangerous beaches with strong waves that regularly pull unsuspecting tourists out to sea. Those breathtaking black-sand beaches can become dangerous very suddenly. Obey all signs, and stay much farther from the water than you think is necessary. 5. Trail hazards: There are very few ropes, guardrails, or warning signs in Iceland — but if you see any, take them seriously. Step carefully, and watch out for loose stones, crevices, and sharp lava rocks. 6. Scalding thermal water: The water in Iceland's geothermally active areas can be boiling hot, and the danger is often unmarked. 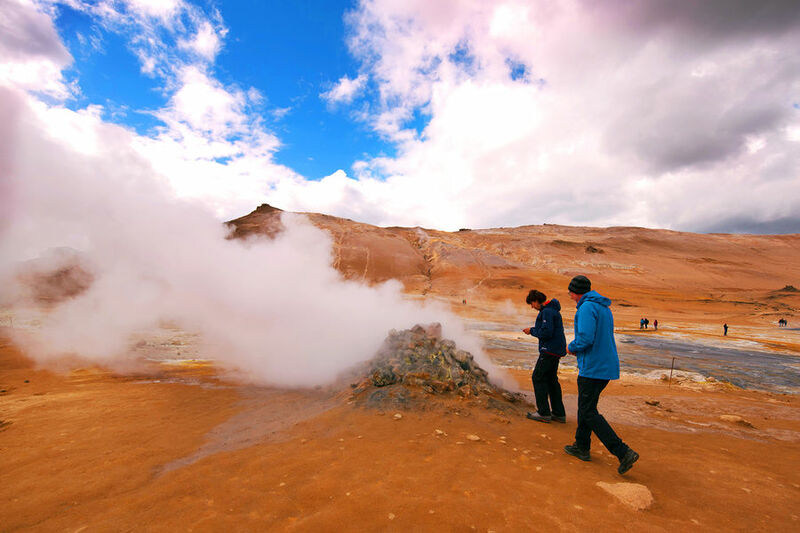 Every year or two a tourist falls in and gets severely burned, typically in a less-visited geothermal area without fences or walkways. 7. Avalanches: Icelanders have taken this danger more seriously since 1995, when two avalanches in the Westfjords killed 34 people. Wintertime travelers may encounter avalanche warnings in any settled area close to a steep mountain slope. 8. Volcanoes: On average, a volcano erupts in Iceland every three or four years. Some eruptions can be viewed from a safe distance, but others melt glaciers, let loose streams of boiling lava, give off poisonous gases, or spew ash and boulders that will damage you or your car. Volcanic eruptions and their consequences can and regularly do interfere with travel plans: Check the Icelandic weather service's website to follow updates on eruptions (and earthquakes). 9. Winter driving: I recommend avoiding all driving outside Reykjavik and the airport area during the winter months (roughly November through March). In Reykjavik, city streets are cleared fairly well after storms. 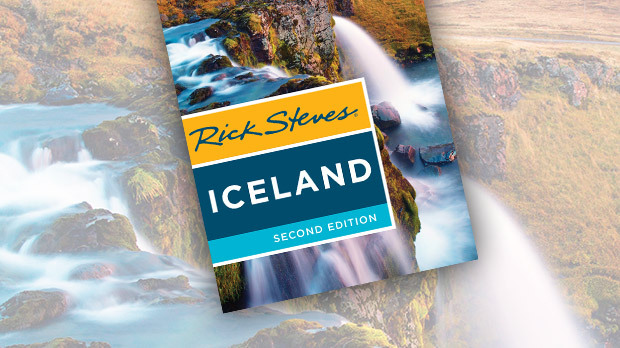 (Two-thirds of Iceland's roughly 340,000 people live in greater Reykjavik.) Outside the city, though, roads can be a sheet of ice for weeks at a time, especially at higher elevations. 10. Scenic distractions: When exploring Iceland by car, enjoy the view safely. Iceland is great about providing generous pullouts at the best viewpoints — use them when you're tempted to look away from the road. Never stop in the road to snap a photo. To encourage safe travel, Iceland operates the SafeTravel.is website with detailed advice and up-to-the-minute alerts. There's also a national emergency number with help in English — 112. Don't let this list scare you. Iceland is a small land that packs in a lot of experiences — and there are things you can do here that you can't do anywhere else (at least, not easily). 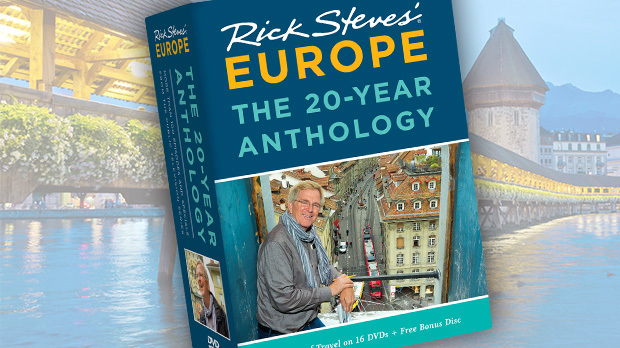 Get out and explore, but travel smart.